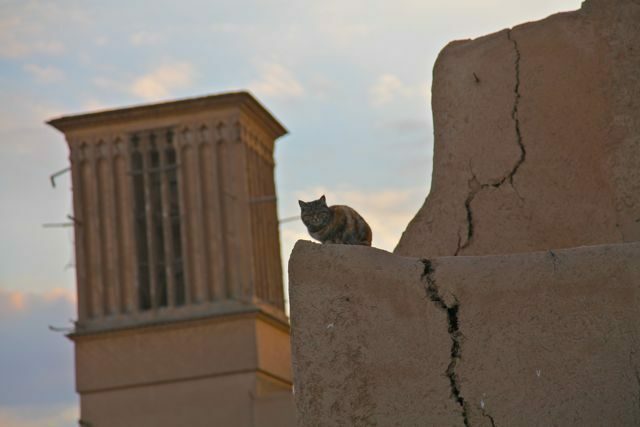 This picture has been taken in the ld city of Yazd. In the background is a wind towel. The antic system that iranian were using to bring fresh air in their house and extract the hot air. It is somehow the ancester of our AC unit.